DONG Energy is the developer and operator of the wind farm. The Danish transmission system operator, Energinet.dk, was responsible for establishing the offshore substation, the export cable to shore and the connection to the main high-voltage power grid on land. The substation of an offshore wind farm is one of the core elements in order to transform and transmit the energy from the wind turbines to the electrical grid on land. The three transformers at the Anholt substation change the voltage level from the wind turbines of 33 kV to 220 kV before the electricity is sent to the land-based connection point to the power transmission grid through a 25 km subsea AC-cable. The GBS solution turned out to be the preferred solution as it combines the installation benefits of a floating concrete structure with that of a steel structure on top. One of the most significant benefits was that there was no need for heavy lift vessels with the GBS solution. Design of secondary steel structures, such as boat landings, platforms, ladders, corrosion protection etc. In order to keep the wind farm project on schedule and on budget, The Danish Ministry of Climate, Energy and Building decided to amend the existing tendering processes for offshore wind farms in Denmark. This meant that environmental assessments and other relevant studies had to be completed before tenders where submitted. Energinet.dk selected Ramboll together with DHI to carry out the environmental studies for the area. It included an environmental impact assessment (EIA) for the wind farm and an environmental assessment of the submarine cable. Ramboll was awarded the project because of our coherent and broad knowledge within environmental assessments, regulatory procedures and the technical aspects of offshore wind project design. As part of the construction and operation of the wind farm, Ramboll carried out risk analyses with the scope of identifying, analysing and evaluating the risks related to third party (human safety) and environment originating from ship collision. 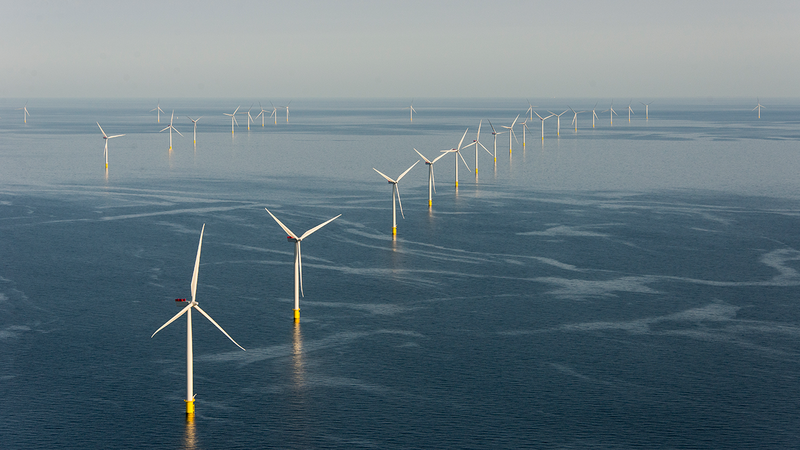 Ramboll assessed the maritime safety of the wind farm and the substation from an operational and construction point of view. The risk analyses followed the principles of IMOs format safety assessment (FSA). As part of the work, a number of risk reducing measures were assessed ending up with a number of recommendations.